I have organized a number of conferences at Rutgers University in New Jersey and at Cambridge University in the UK. Most recently in 2015, I co-organized Shifting Cities: Urban Heritage in the 21st Century, 12-14 November, 2015 with the Program in Cultural Heritage and Preservation Studies(CHAPS) at Rutgers University. We received $100,000 in grant money from the Rutgers Strategic Plan Initiative for International Academic Symposia on Integrating Themes. 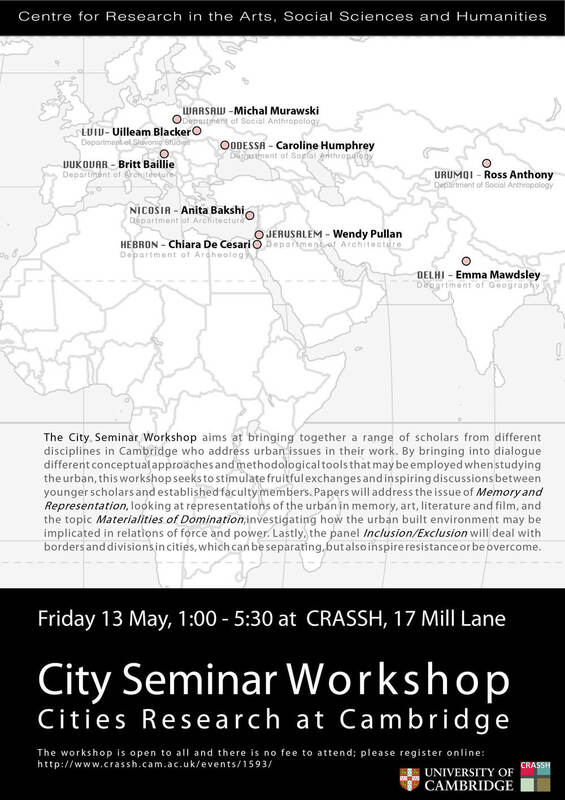 Other conferences include: Urban Natures Conference, 14 February 2014 with the Center for Cultural Analysis, Rutgers University; Multidisciplinary Workshop on Urban Research, 2011 with the Centre for Research in the Arts, Social Sciences, and Humanities (CRASSH), University of Cambridge; and the Conflict in Cities Graduate Workshop, 2010 with the Conflict in Cities Research Programme, University of Cambridge.